Lobster rolls are a summer classic and on a recent trip to Maine, I certainly ate them as often as possible from harborside stands where the lobster was fresh right off the boats. Doesn’t get any better than that! The ones I liked best were the simplest: big chunks of lobster in a smidgen of mayo in a perfectly toasted top-slit roll. Having been home a few weeks, we were longing for a lobster roll again. I tried my hand at making them for the first time. I researched recipes online and settled on Martha Stewart’s recipe for its simplicity. Our first lobster roll, and still the freshest and best, had been enjoyed at Beal’s Lobster Pier, on Mount Desert Island, where we were told Martha celebrates her birthday each August. These weren’t Beal’s, with a water view, but pretty darn good for being landlocked in Pennsylvania! And oh, Happy Birthday Martha! Gently toss the lobster with the herbs, lemon juice, mayonnaise, salt and pepper. Chill, covered, while you prepare the rolls. To toast the rolls, heat a large skillet on medium heat. Brush the rolls on each side with melted butter and cook for a minute and a half on each side, turning once until perfectly golden. Fill each roll with about 1/4 cup of the lobster mixture. Serve immediatly with sides of kettle cooked potato chips and boiled corn on the cob. 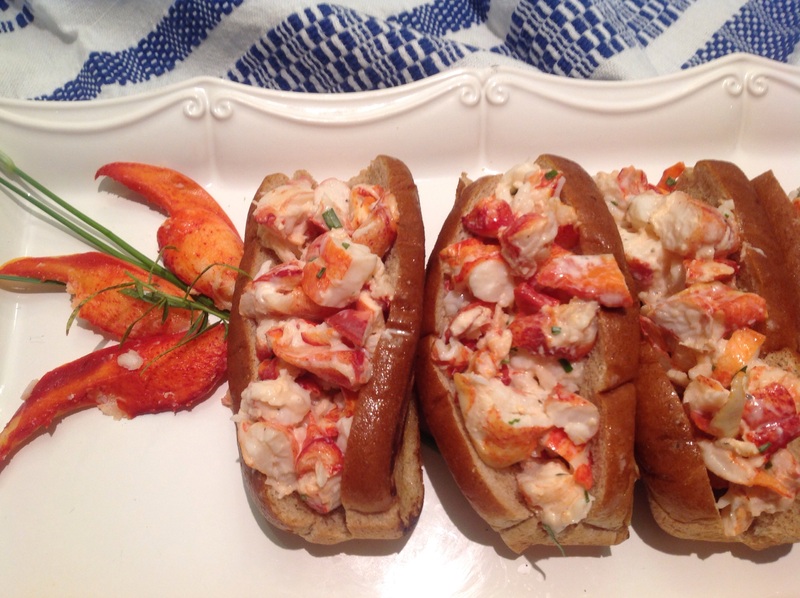 Mounth watering loaded rolls with barely there mayo, fresh herbs, some lemon juice to let the lobster shine. 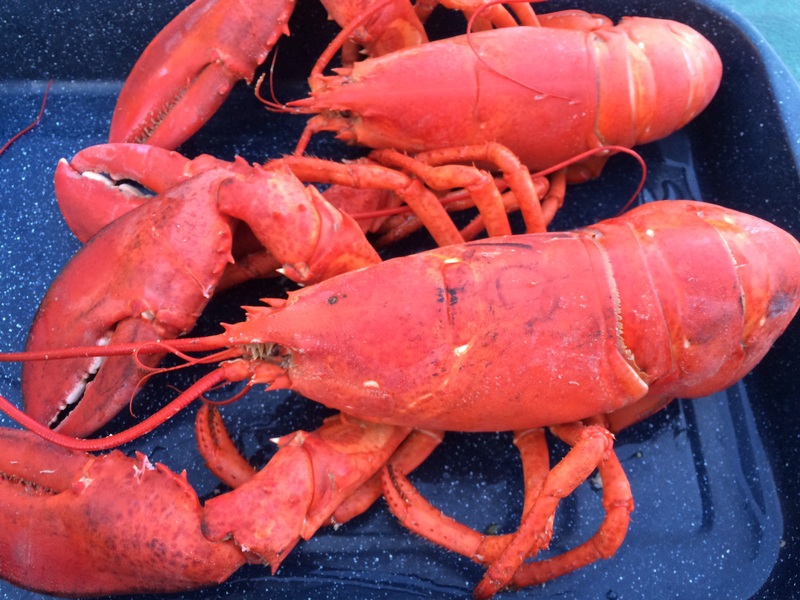 Our Mount Desert Island lobster! 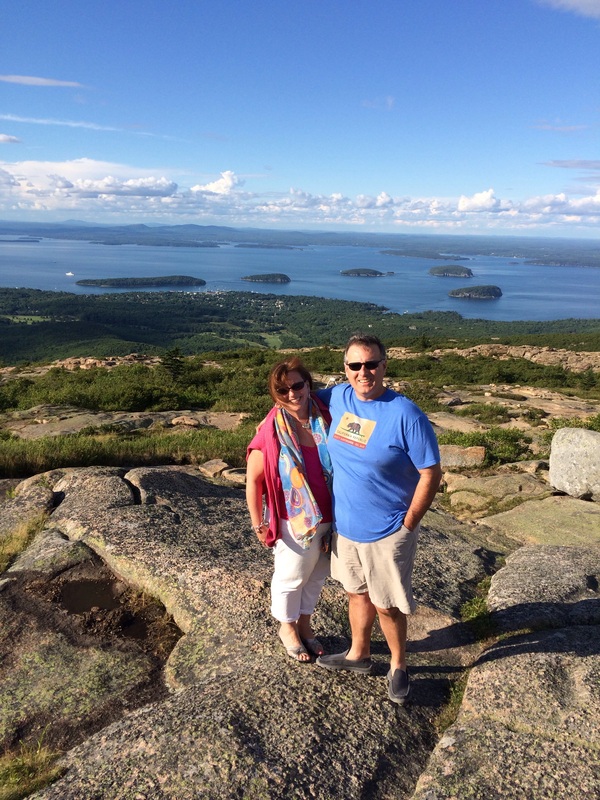 On top of the world on Cadillac Mountain on Mount Desert Island. 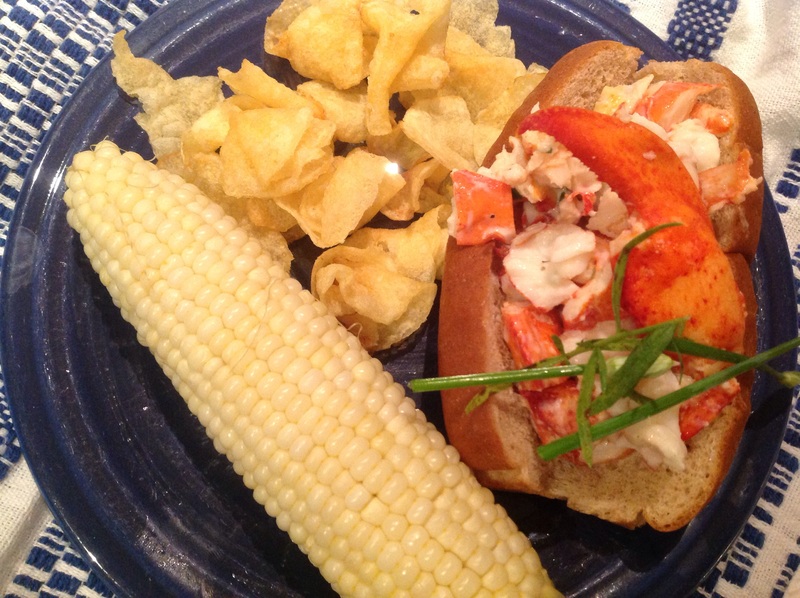 This entry was posted in Recipes and tagged Fresh lobster roll, Maine lobster roll, Martha Stewart Lobster roll by Johanne Lamarche. Bookmark the permalink. love your picture! And the lobster roll looks yummy. By the time I’m done writing about Maine you’ll really have the travel bug to go, Jacqueline!!! Looks delicious! 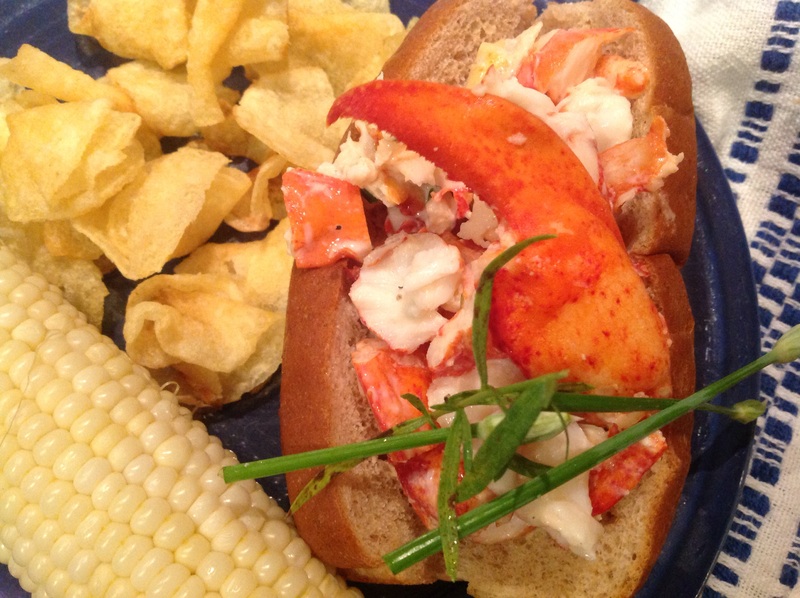 My husband would absolutely love your lobster roll! Mine did too! He just had a leftover one for breakfast! 🙂 Thanks for stopping by. Not for me yet Mrs Fitz would love it! Wish I could serve her one! Thank you Sarah! They sure were.